Much like I began working with WordPress itself nearly since it’s inception, I’ve been building Woocommerce sites since that platform was released in 2011. While it was a bit of a rocky start, the team who created what is now the most flexible and certainly one of the most popular e-commerce solutions out there have done an amazing job at refining it over the years, and most importantly, my clients see results. Up to 80% in revenue increases, in fact. Like WordPress, Woocommerce is open source. It’s easily extendable, whether via custom code or by purchasing plugins. It does have a bit of a learning curve, but I’m here to help set your particular store apart, so that whether it’s a matter of being discovered by search engines or just being downright enjoyable for your users to shop, you see results. Farm to Roast sells single origin coffee sourced directly from farmers to roasters in the United States and across the world, all with Woocommerce. What Can Woocommerce Do For Your Online Business? Well, basically, it can completely power it! Specifically, Woocommerce allows you to sell physical products (like t-shirts, for example), digital products (like mp3s), appointments, subscriptions…just about anything you can imagine. 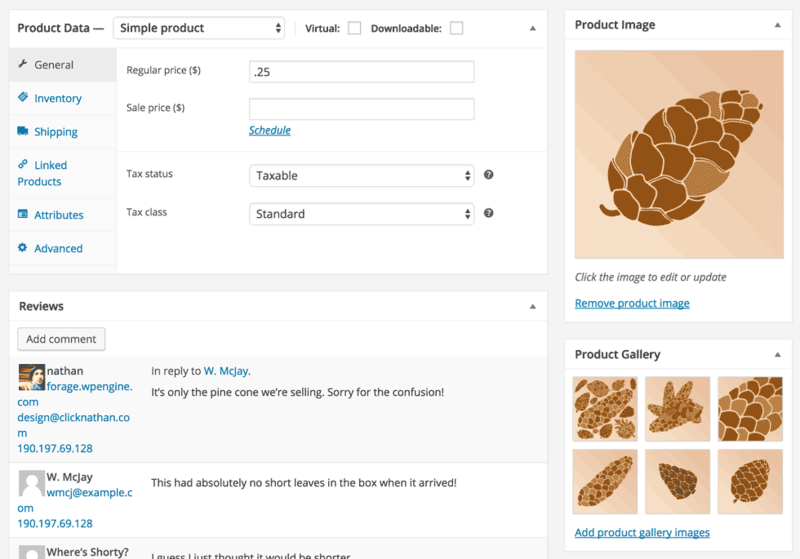 Add and manage as many products as you’d like with Woocommerce. Product Variations. Selling t-shirts? Easily set the sizes and colors available for your customers to choose from, including what order they’re displayed in, different costs and inventory for each if you need it. Multiple Product Types. Simply sell your products, or sell products from other stores (like Amazon) via affiliate linking, or group products together and sell them as a bundle. Additional extensions allow you to group products with even more options, like offering discounts when customers buy an entire range of products. Offer Sales. Set sale prices, even schedule them for specific times. Manage Inventory. Tell Woocommerce how many of a particular product you have, and it will automatically manage stock for you from there. Notify customers on the front end as to whether a product is in stock, hide products that are out of stock, or even all backorders. Shipping. Ship only to specific ZIP codes or the entire world, and any combination in between. Offer free shipping or discounted shipping based on the buyer’s shipping address. Deliver digital goods by email. Extensions also make it possible to get live rates from companies like USPS and FedEx. Link Products. If a product is related to another one, say wheels that go great with a particular bicycle, show them on the product’s page and help boost sales. Product Reviews. Allow your customers to leave feedback on your products, including comments and star ratings, so that future customers will know what to expect. Indicate which reviews are from verified buyers on your store, and manage them all directly through WordPress. Tax. Charge tax based on the customer’s billing or shipping address, and set up different tax zones for different ZIP codes, states or countries. You can also allow customers to pick your goods up directly, or offer local delivery if you’d like. Get Paid! Accept credit cards or allow your customers to checkout via PayPal. You can even accept checks electronically or by mail, among other options. Woocommerce has a plethora of options available right out of the box, and extensions or custom functionality built by me make nearly anything possible. 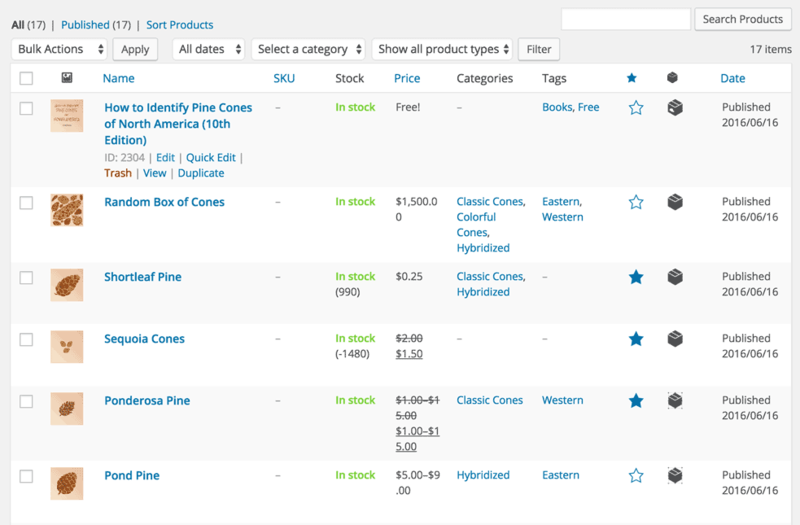 Use categories and tags to make it easier for your customers to sort through your products. 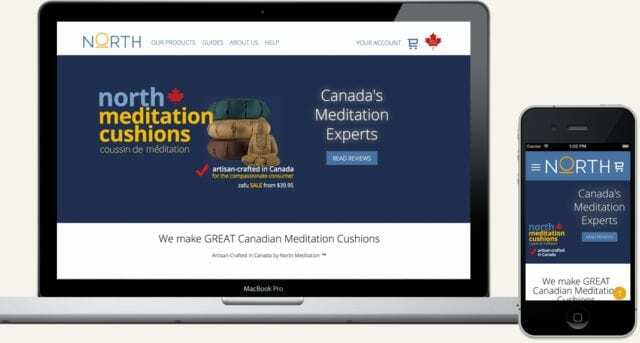 North Meditation sells 100% Canadian made meditation cushions to yogis across the great north. Dots and Doodles Art uses Woocommerce to sell BYOB art classes in Pittsburgh. With the power of Woocommerce and the custom design and functionality we’ll create together, the possibilities are nearly unlimited! Ready to Get Your Own Store? Get in touch and we can discuss what will work best for your online store! See how we increased North Meditation’s e-commerce traffic by 24%. Want the same for yourself? Get in touch.